It’s more than a team. It’s a legacy. 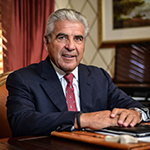 Mr. Easton is the Chairman of The Easton Group, the real estate brokerage, investment, management and development firm he founded in Miami in 1974. Educated at the University of Miami, Mr. Easton received his Bachelor’s degree in Business Administration in1966, and his MBA in 1976, majoring in Finance with a minor in Accounting. The John F. Kennedy Center Board of Trustees by appointment of President George W. Bush. Mr. Easton served a six-year term. Board of the U.S. National Parks Foundation by appointment of U.S. Secretary of the Interior, Dirk Kempthorne. Mr. Easton served a six-year term. Trustee Emeritus, University of Miami and past Chairman of the Master Planning Committee, overseeing all real estate interests and acquisitions of the University. 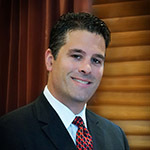 President of the SSJ Mercy Health System, Inc.
Mr. Hernandez-Solaun is President of The Easton Group. He oversees the company which manages, leases, develops or owns more than 4.5 million square feet of commercial real estate. Previously, he spent 15 years at GE Capital, a division of General Electric (GE), serving as Senior Vice President and working with C-level executives of mid-market companies to facilitate their financing needs. Mr. Hernandez-Solaun holds a BA in Entrepreneurship, Marketing and International Business from Florida International University. He received his MBA from the University of Miami and an Executive Certificate in Strategy and Innovation from Massachusetts Institute of Technology. He also studied at the John F. Welch Leadership Development Center. Mr. Easton has almost three decades of industry experience. He enjoys strong relationships with some of the largest and best-known companies in the country and is recognized as an astute and seasoned leader in the area of real estate investing. His deep knowledge of land development and build-to-suit for lease real estate in a wide range of projects has been instrumental to the firm’s success. Mr. Easton studied business at Florida State University. 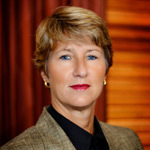 Ms. Kavanagh brings 34 years of commercial real estate experience to the Easton & Associates Management Division, where she oversees more than three million square feet of industrial and office properties as well as 22 million square feet of industrial park associations. Easton & Associates Management is responsible for third-party management and oversees all properties that The Easton Group owns. Lisa also oversees the Accounting Department for Easton Management. She was previously employed as Vice President at Seagis Property Group and Keystone Property Trust and worked on the transition team for Prologis when they acquired Keystone’s assets. Lisa earned a business degree from Centenary College. With 35 years of real estate development experience throughout Florida and the Southeast United States, as well as Texas and Colorado, Mr. Douglas oversees all development activities at The Easton Group. 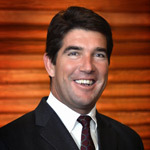 Previously, he spent more than 17 years as Owner and President of Douglas Development Group, offering relationship-based real estate development and consulting services to domestic and international firms, developing more than one million square feet of office and warehouse space. 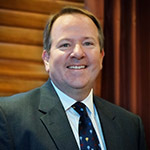 Prior to that, he spent two years as President of Easton-Babcock Development, a former Easton company, where he oversaw the 4.3 million square foot, award-winning International Corporate Park, and five years as Vice President of The Codina Group, supervising all aspects of the development of Beacon Centre, a 2.5 million square foot mixed use business and industrial park in South Florida. Mr. Douglas received his B.A. from the University of Florida.